Clive Thompson LRPS Photography: Fleur de Lys, St Mary Street, Bridgwater in 1973. 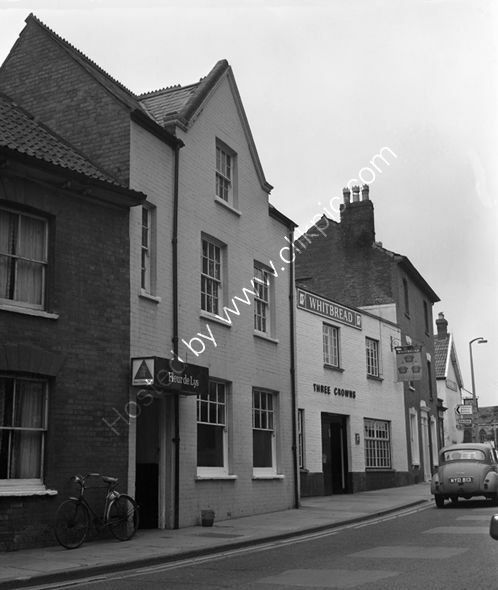 Fleur de Lys, St Mary Street, Bridgwater in 1973. The Fleur De Lys in Bridgwater when it was a Charrington pub in 1973. In 2018 The Sunrise Chinese Restaurant. Alongside is the Three Crowns, a Whitbread pub (closed when researched in 2018)The Morris Minor is WYD 813. The pub two doors down from the Three Crowns is possibly yet another Whitbread pub as the gallows sign appears to be different to the Three Crowns. In the distance is a church - so assumed to be St Mary's. For commercial use of this photograph please visit www.alamy.com and search for RFFCBE but for a one off print, please see below.